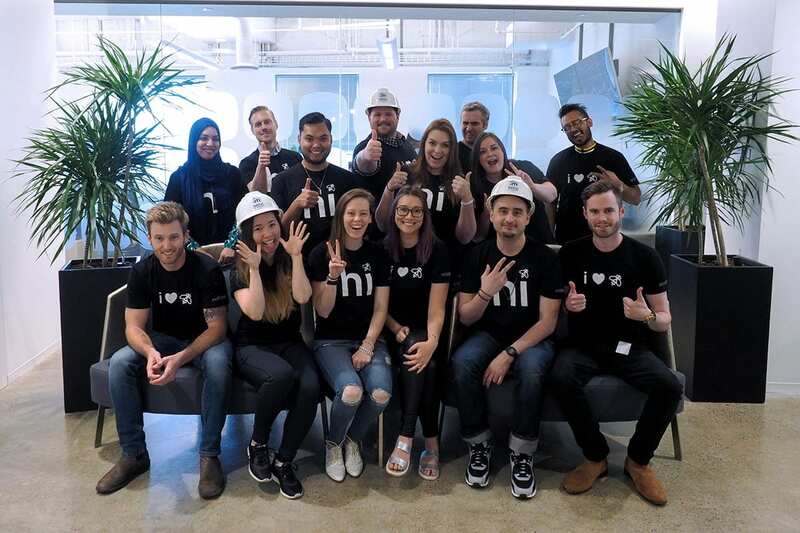 Note: This is the first post in the Talent Thursdays series — weekly profiles of some of the top startups in Toronto on the hunt for new talent. Want to join a great team? Advance your career? Do important work? Read on! Who knew your home thermostat could be such a know-it-all? Toronto startup ecobee has developed a home thermostat that not only helps you keep cozy (or cool) while cutting energy costs, but also plays songs, reads the news or places grocery orders for you. And you don’t even have to lift a finger. 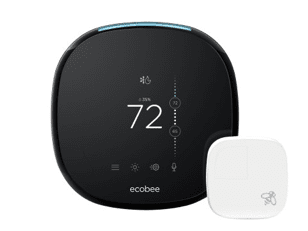 Ecobee’s newest thermostat connects to Amazon’s Alexa Voice Service over wi-fi. Translation: you can turn up the heat and order dinner without getting up off the couch. Founded in 2007, ecobee’s mission is to make homes smarter and more energy efficient. Just how energy efficient? At the company’s quarterly all-hands meeting, CEO Stuart Lombard said in one quarter the company had saved its customers (and the planet) about as much energy as that consumed by a city the size of Sacramento. Does your toaster barter for cheaper electricity? It will soon. In tomorrow’s smart home, appliances will get starring roles rather than bit parts. All devices will connect to the web and to each other, which means they’ll be doing much more than toasting bagels and making ice. Your washing machine will text you when the load is done. Your toaster could collaborate with the refrigerator to hold an auction looking for the cheapest electricity. Maybe your kitchen appliances will discuss Game of Thrones. Companies such as Google, Amazon, Apple and Microsoft are working hard to be the backbone of these new home networks. 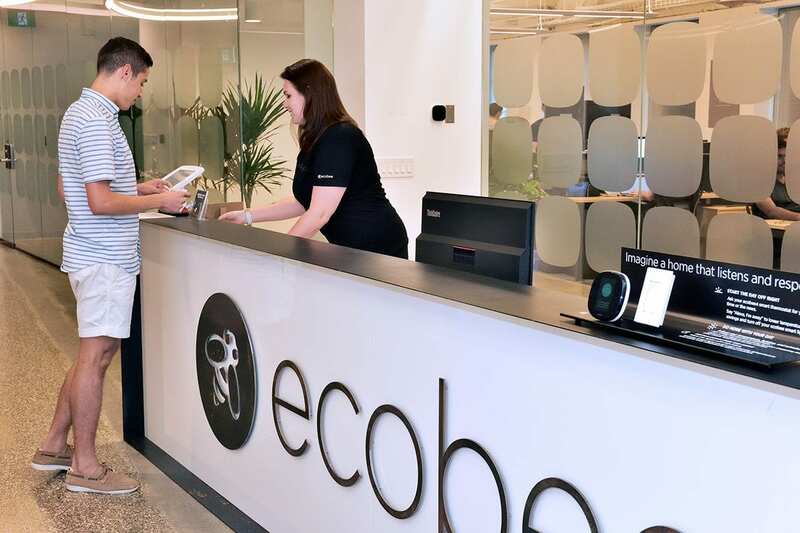 Ecobee’s downtown office is right in the heart of downtown Toronto, on University Avenue a few strides south of all the hipness of Queen St. Because it is aggressively hiring, the company is soon opening a second office on Queen’s Quay. Part software, part hardware, the ecobee thermostat is built by staff who wear a variety of hats. Some coders, some builders. Ecobee offers a $2,000 referral bonus to employees who help the company find a new worker. Let’s Be Great is also the name of the company’s education program. Employees are given $1,500 each year to use toward conferences or classes or buying books. Natalie used it for leadership training before becoming a manager. Dennis loves that the company is always open to new ideas. 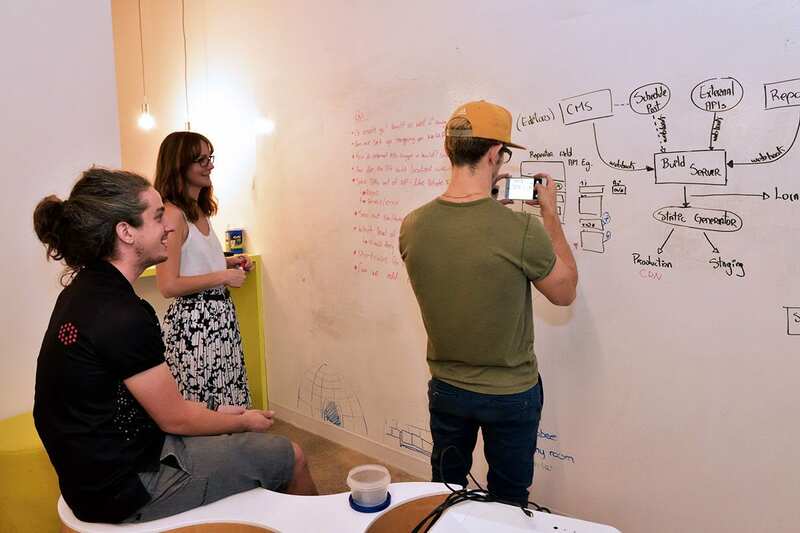 During weekly demo days anyone can demo what they’re working on to the whole company, bringing visibility to everything happening across the organization. What about ping pong? Axe throwing? Check and check. 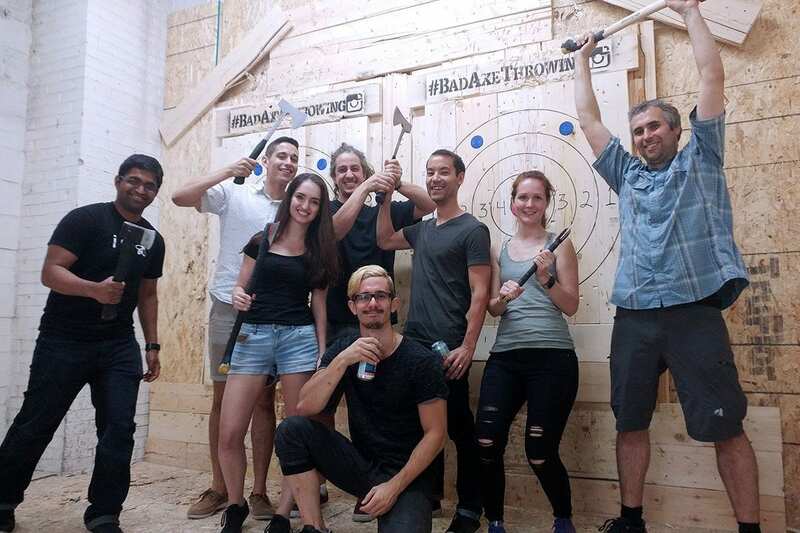 Ecobee employees like to have fun, whether pitted against each other in intense ping pong sessions or off-site axe-throwing events. Like food? There’s a Slack channel for that. 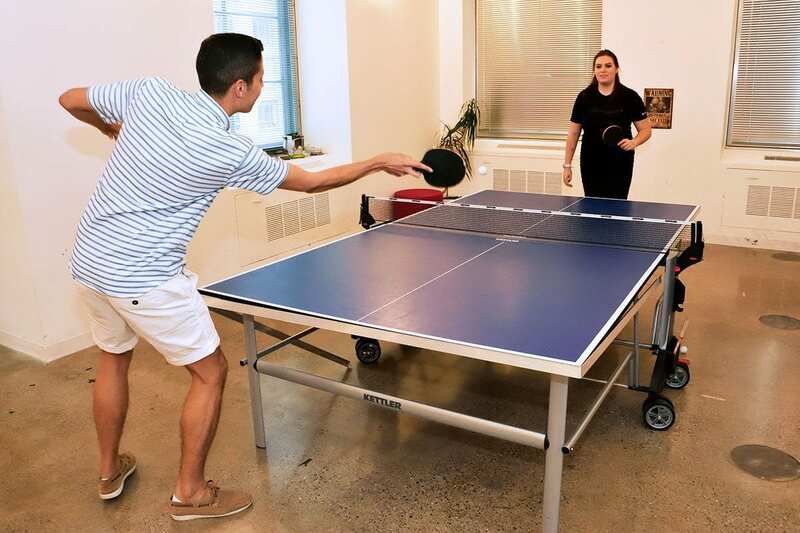 Employees have all kinds of other interests too, from video games and food to kayaking and playing soccer. “If you have a passion for something, you essentially create a channel on Slack to connect with people who have the same interests,” says Dennis. Advice for applicants: Check your ego at the door.